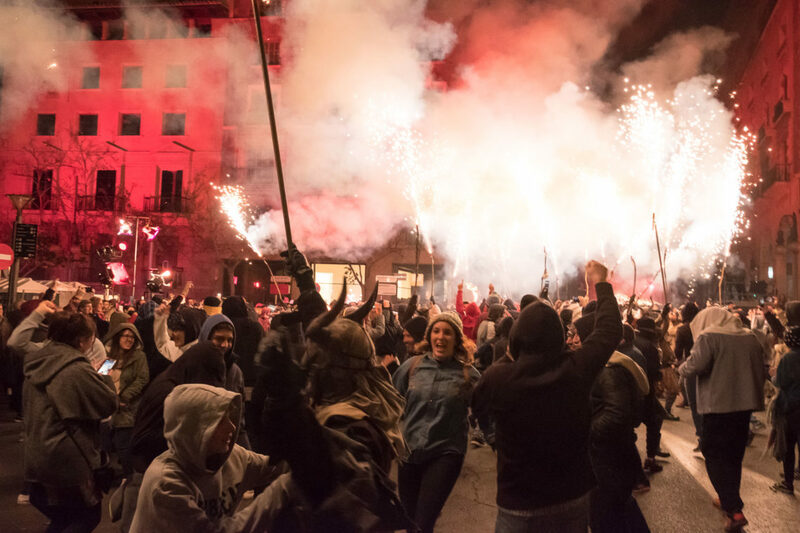 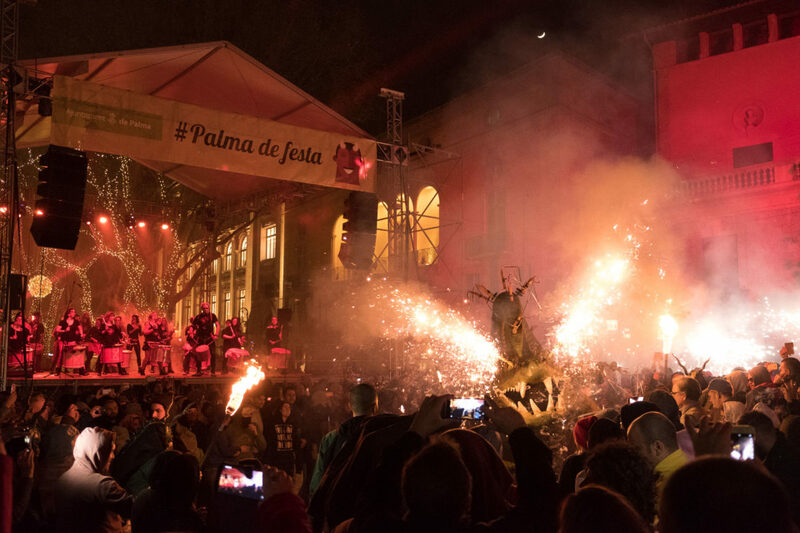 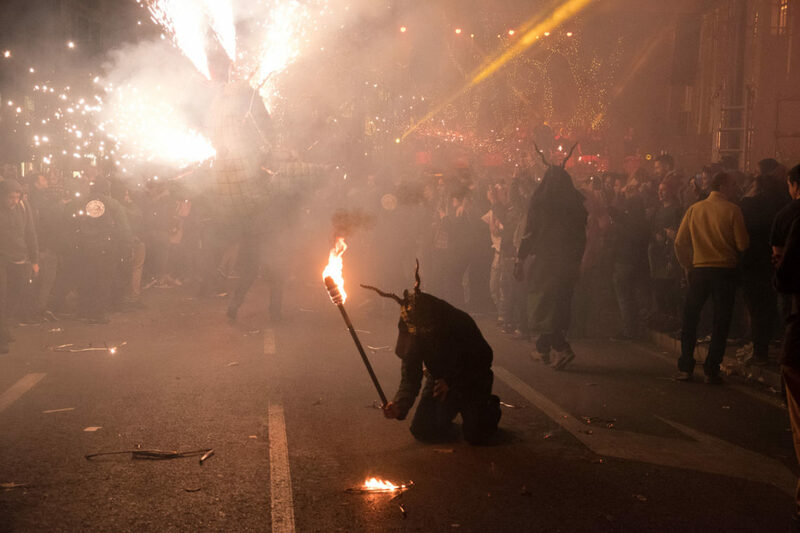 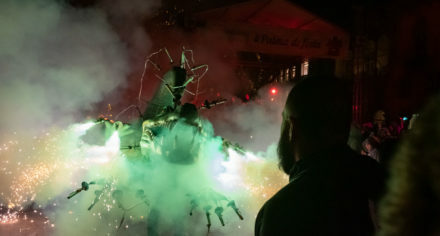 It’s scary as hell but for me the Correfoc in Palma is the highlight of all the Sant Sebastià festivities. 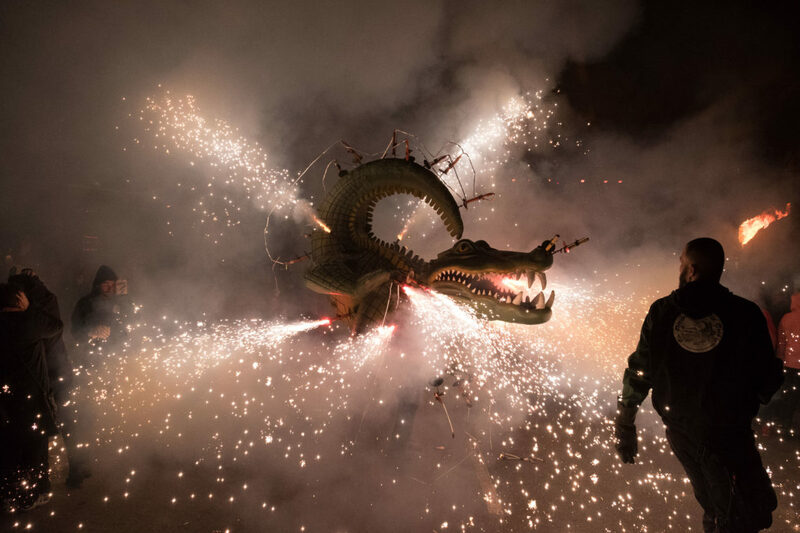 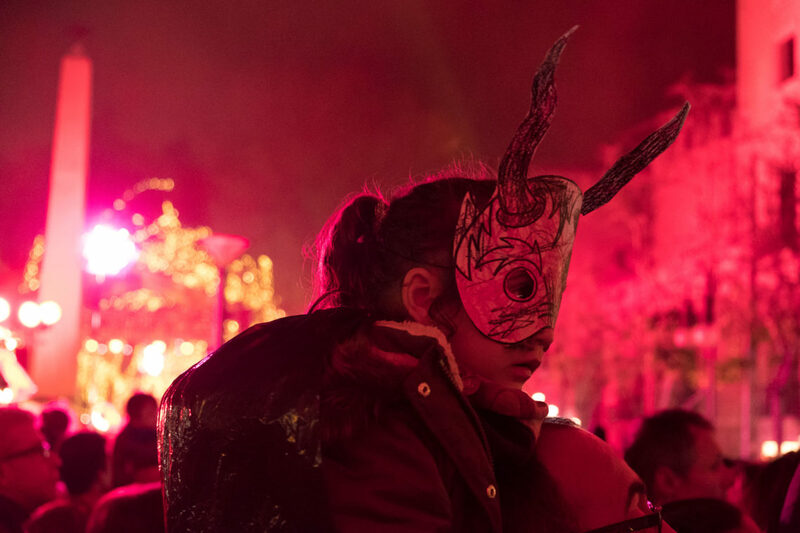 Burning torches and a deafening noise of firecrackers are the scenery for the most exciting act: fire-spitting dragons and wildly dancing devils. 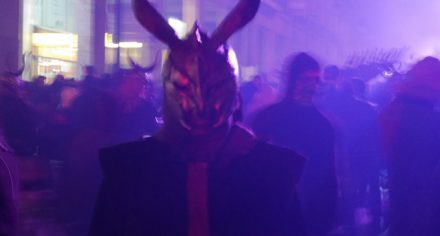 When they start chasing you just follow your reflex and run. 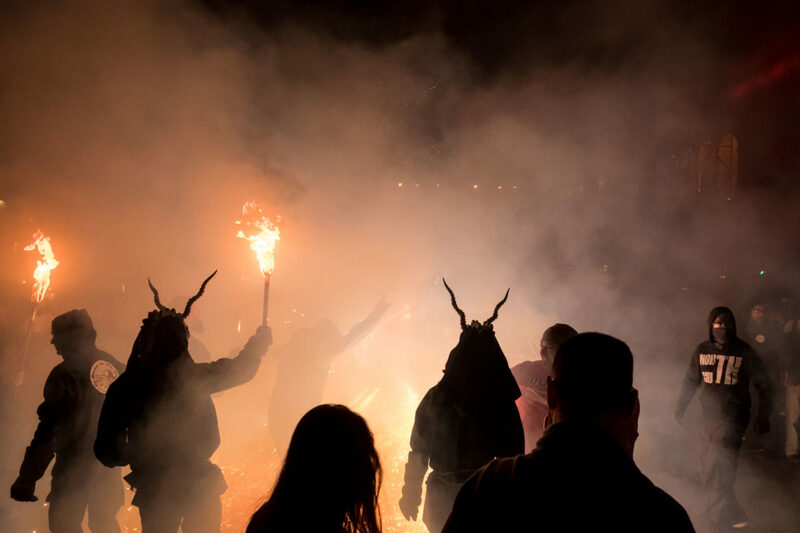 But once their torches or firewheels have died they become more benevolent and might even pose with you for a pic.